What began as an outrageous idea at the Great Commission Committee’s planning retreat last year has grown into a full-fledged plan to plant 50 new churches in the next 10 years. God challenged us that day to dream big dreams (see my February 2017 Messenger article “Dream Big Dreams”), and the result is the Vision for 50 campaign. It’s so much more than our big, hairy, audacious, goal. It’s a promise from God, and, if we will believe him to act and step out in faith to partner with him, he will send us the church planters and the necessary resources to see these 50 new churches come into being. But, really—50 new churches? Why not a reasonable 5 or an overachieving 10? Why 50? The biggest reason is our belief that God is asking this of us. It’s hard to argue with somebody when he says that sort of thing, but, truly, that is the primary reason. Granted, it’s a goal we could never pull off in our own strength. So, that’s a good beginning point. But, our sense is that there are a number of really good reasons for giving us this number. For starters, we believe that planting new churches is a biblical mandate. Tim Keller, founding pastor of Redeemer Presbyterian Church in New York City, claims, “Jesus’ essential call was to plant churches. Virtually all the great evangelistic challenges of the New Testament are basically calls to plant churches, not simply to share the faith.” He bases this statement on the fact that when Jesus gave the Great Commission in Mt 28:18-20, his directive was not simply to perform the sacrament of baptism. Rather, baptism meant incorporating believers into a worshipping community where their newfound faith could be strengthened and grow to maturity, as we see in Acts 2:41-47. Keller goes on to explain that “decisions for Christ” often fizzle and disappear like New Year’s resolutions if they are not nurtured into transformed lives within the Body of Christ, the local church. For that reason, St. Paul was determined to plant churches in every city (Titus 1:5) and left Titus, Timothy, and his other disciples detailed instructions for selecting and commissioning the leaders who would plant these new churches. His vision, and that of others like St. Patrick, St. Columba, and John Wesley to name a few, led to large-scale church planting movements. These movements changed the course of entire nations as the churches they planted transformed the lives of their members into testimonies for Christ. Another compelling reason for 50 is the sheer need for new churches. Researchers estimate that an average of 3700 churches close every year in this country. For years following World War II, the number of new churches being planted annually was less than the number closing, but in recent years, plants have exceeded closings and we are now averaging 4000 per year. While this net growth of 300 churches is cause for rejoicing, we must put this in the context of the dramatic growth of our population. In order to keep pace and maintain the current ratio of one church for every 1000 people, we need to net 1900 new churches each year (recent study by the SEND Institute). In other words, we need to think bigger. As we have prayed into the Vision for 50 the past 18 months, God has steadily helped us to focus on the systems we need in place to attain our goal. This includes developing partnerships with those congregations who will become “church planting churches.” We now have 7 congregations who are committed to being “Incubators” that will regularly plant new churches. As part of this strategy, we are also placing an increased emphasis on reaching colleges and universities. This requires that we develop our leadership pipeline, such that we can offer sufficient support and encouragement to emerging young leaders as they grow in their faith. Funding for internships and residencies is also a part of this effort to see more young people become leaders on the missional journey. Another reason for the large goal is the hope that we can create a culture of multiplication within our diocese where church planting becomes the norm for us. That is exactly what is already happening, and it’s taking a number of different forms. Several congregations are planting second campuses, such as Holy Spirit, Leesburg (at Ashby Ponds) Church of the Apostles (at George Mason University) and Restoration (in South Arlington). We’re also seeing a number of “Fresh Expressions,” such as the work being done by The Rev. Matt Hemsley in the Mosaic District with Truro, the Rev. Jessica Fulton Lee in Virginia Beach and Maura Hampton in Newport News. And it can also be a typical church plant such as Church of the Ascension (with Holy Spirit, Leesburg), which launched on Palm Sunday in Kearneysville, WV. However it happens, it is a work for all of us to be a part of and to celebrate together. So, yes, God really is asking us to plant 50 new churches. And these “first fruits” of that harvest are just the beginning. The Rev. 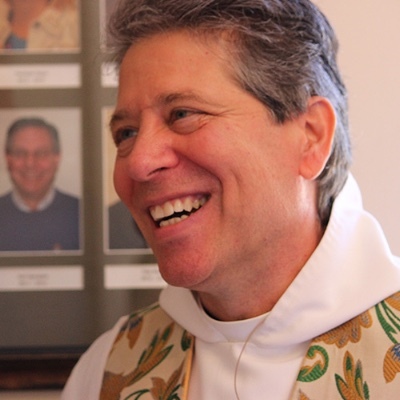 Canon Tom Herrick is Canon for Church Planting for the Diocese of the Mid-Atlantic.